Something see on Pete Kastanes' Vanished Chicago Businesses on instagram. This business was located at 9129 S. Jeffery Blvd. What you see here is a menu from that long gone business. A couple of bills being reported here that caught my eye. One bill lowering the minimum age for a child to be enrolled in Kindergarten. Also a bill that we should keep an eye on, the state's legislative Black caucus fights a bill with regards to "forced unionization" until there is meaningful inclusion of minorities in trade unions. Go over to Rich Miller's blog for more. [VIDEO] At this point the Green Line (Lake-Englewood-Jackson Park) had been created in February 1993 once the Red Line (Howard-Dan Ryan) was created. The original north-south and west-south lines were rerouted according to create the two lines we know today. Thus we see this from 1993 as a Green Line train heads east along 63rd Street. We see Racine in service before it closed. We also see the closed Harvard stop which would be dismantled later during the two year closure of the green line for rehabilitation. Also as you see the train approach Halsted you get a different perspective on the intersection of 63rd & Halsted. Buildings that later would be demolished and replaced for Kennedy-King College and then for the shopping center that would later contain Whole Foods Market Englewood. [VIDEO] You might have seen this on WGN yesterday and another story about a DJ booth at the new 95th terminal from ABC Chicago. Chicago artist Theaster Gates and Mayor Rahm Emanuel unveiled new works Monday morning at the newly-renovated CTA Red Line station at 95th Street. A radio station called "An Extended Song of Our People", or "AESOP", will broadcast music by local artists at the terminal. During the process of developing ideas for the new installations, Gates said at a press conference Monday morning that he wanted to address the needs of people in the community. "We want to see clear examples of the history of the people on the South Side. We want to see clear examples of the future of our city. We want to see real examples of the present. We want to hear all our stories, all the time," Gates said. "I thought, that's a lot to deliver in a mural." I want to check out this DJ booth, where in the station is it? [VIDEO] Congrats to the Lightfoot campaign on their victory last night in the runoff for Chicago Mayor over County Board President Toni Preckwinkle. What will the next four years under a Mayor Lightfoot look like. I'm sure in the coming days we will know more about her plans for the city. From Chicago Tribune returns from last night's runoff election which includes the city treasurer's race and of course the 15 wards with runoff elections. Let's start with the namesake of this blog The Sixth Ward Alderman Sawyer beats a challenge from Deborah Foster-Bonner. In the 16th Ward, Ald Toni Foulkes - who had been elected to that post in 2015 after being an alderman in the neighboring 15th Ward - was defeated by Stephanie Coleman who is the daughter of former 16th Ward Ald. Shirley Coleman. [VIDEO] In addition to the mayoral race, we also have the city treasurers race and select wards that are in runoff elections today. 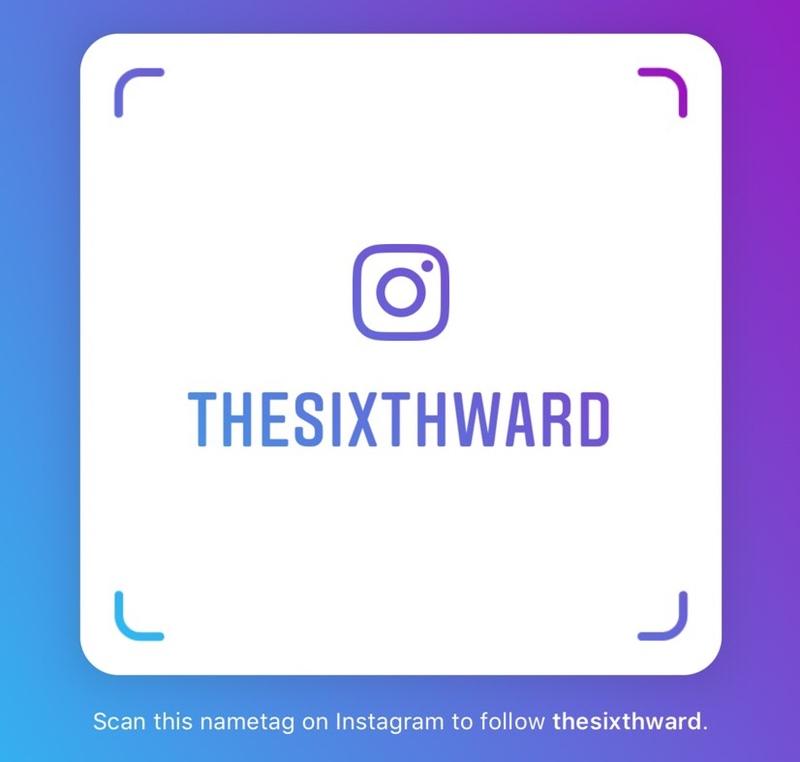 I especially want to highlight the runoff in the 6th Ward which we have somewhat covered since February and in the 21st Ward. Polls have been open since 6 AM and you can vote until 7 PM. Hopefully you take time out to cast your ballot today! For some reason it surprises me that Richard Wooten who was thrice a candidate for Ward 6 Alderman endorses incumbent Ald. Roderick Sawyer as he goes into a runoff against Deborah Foster-Bonner. Then again often in election season we see candidates endorse their former rivals often. And I do believe that in Ald. 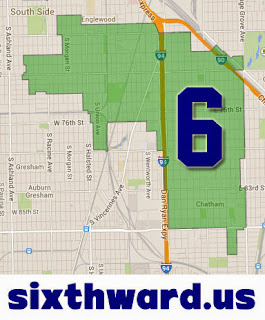 Sawyer's runoff in 2011 against then Ald. Freddrenna Lyle, Wooten also endorsed Sawyer. And of course in 2011 Sawyer would win that runoff and take his father's old seat as 6th Ward Alderman. The election is next Tuesday. The image you will see below is fascinating. Did you know back during the 1893 Columbia Exposition that the East 63rd/Jackson Park L was built towards the fair grounds there? What I didn't know until recently that Chicago-L.org also had that picture posted on their webpage for what they refer to as the Jackson Park Station of what was formerly the South Side Rapid Transit line. I had the idea of this building being the Museum of Science and Industry except the building where the museum is now is a different one known as the fine arts building. That building is the only remaining structure from that fair. The Jackson Park station after the fair was closed and demolished and the line terminated at Stony Island. Then in the 1980s the Stony Island terminal was eliminated after concerns over the maintenance of an overpass over railroad tracks. Then in the 1990s the branch was further cut with the remainder of the line past the current Cottage Grove terminal was demolished. Then in recent years a grassroots effort to ultimately re-extend the line back to Stony Island with the Obama Presidential Library coming to Jackson Park in the near future. Perhaps they could end the new East 63rd Green Line in Jackson Park as close to the Museum of Science and Industry or terminate hear the presidential library. Who knows what the future has in store for this part of the city. This is how Preckwinkle and Lightfoot (one of those two candidates will be the first Black female mayor of Chicago) will differentiate themselves. Preckwinkle it could be said has the backing of quite a few established Black politicos in Chicago such as Bobby Rush or Danny Davis. For example and it seems there will be more endorsements of the current county board president. Anyway read more about it at CapFax.